I had never given my heart to someone in such a way. Unexpectedly, I trusted somebody so much and I didn’t think one day he would take that heart and destroyed it in thousands pieces. I thought my life was over. I found no reason to plan a future without him. For months I’ve wondered why he behaved like this, with wickedness for no reason. I really trusted him. A good person shouldn’t deserve to feel so bad. An year and half later I look in the mirror and I can see a strong woman and a fighter, ready to face life and make her dreams come true by any means. But through this heartbreak I can also see a grown up girl, that is living the smart life she had always wished. • When we do something on our own, we’re worth. • Nothing and no one has the power to wreck our life, it’s you who has to decide if to allow it or not. • We must grab our dreams and restart. • Nobody better than us can understand how we feel and can’t expect people support and pity us all the time. • Inside each of us there is enough strength to get rid out of negative thoughts and be positive. • Meditation could be a big help. Can you imagine to see a rainbow without a storm? Impossible. And so that’s life. Sometimes we don’t realize it and we choose to withdraw from others rather than to get down thinking what it would be better for us. I decided to have a one week journey….but one year and half later I’m still here. For once in my life, I’ve taken care of myself. I didn’t listen to friends, parents and social rules. I followed my heart. I realized that the end of my relationship had been a blessing. I should have changed my lifestyle for a long time but I had never been brave enough. Sometimes life confronts us with circumstances that seem impossible to overcome. If we aren’t resolute to change what’s bad for our life in a calm way, life will change it hardly. These unpleasant events block our life like a boulder and they appear as a wrong punishment that we didn’t really deserve. But when, finally, the storm moves away the rainbow you’ll see it will be the most amazing and satisfactory view ever. You’ll feel like being soaked in a barrel of positivity, you’ll enjoy to live in the present moment, smiling about the past and eventually you’ll find out that without all that pain you’d have never reached such results. We can look for happiness when, observing our life, we realize there is always something to be grateful for. Once we get this awareness, it will be so easy to feel joy for little things, that we’ll wonder why could live without happiness so far! From the moment I started to meditate, it seemed to me to live in a different world. Since I’ve discovered the world of meditation, I see every single detail with different eyes. Before, I was just like many other people: in a world always anxious, getting angry with everyone, taking my anger out on every single foolishness. Now I’m very happy to live in “my own world”: I can explore the deep meaning of every little gesture. Today, I don’t get angry if something goes wrong, but I wonder if it is really worth to waste mental and physical energies on something that I probably can not even control. It’s better to be present, relaxed and any situation will resolve in the best way. This is what meditation is doing. It allows us to live and appreciate the present moment, also helping us to unlock some situations that we would never have had the courage to face. It would take me hours to list what benefits meditation increases and what defects it decreases. They are generally very subjective and always positive! We always feel so taken by our habits that sometimes we are not even aware of the world around us. We do things automatically, like a robot. We go to work and think about the issues that will be waiting for us. We brush our teeth and we remember how we looked bad today in front of our colleague. We shower and we blame ourselves for not having started studying time before for that damn exam. Thinking, thinking, and still thinking – we do it all the time. In fact, we are simply taking away the space for our happiness but continuing to stuff our mind with thoughts, we are no longer able to appreciate what surrounds us. All this is much easier if you start doing small meditation exercises every day. • Take a few minutes just for you, in a place where you know you can’t be disturbed. • Sit or lie down, and slowly close your eyes. • Begin by breathing slowly and deeply, inhaling through your nose and exhaling through your mouth. • Count on your breaths and focus only on them. • When a thought begins to distract you, try to send it away and concentrate on your breath. • Keep doing this for a few minutes, and every day try to do your best, enduring more and more in concentratiing on your breath. Congratulations! You have just completed a meditation session! Did you think it was more difficult? You will find that if you are constant in your daily doing this practice, it will be easier to concentrate on your everyday activities and, by shutting the negative thoughts out, you will enjoy each single instant of your life better. In the long run, you will realize that this practice will improve your mood, making you feel more relaxed, even unlocking situations that seemed insurmountable before. The more you meditate the more you will begin to feel a particular sensitivity to the surrounding world, for example you will want to spend more time in a park or on a beach rather than being locked in the house. Your sensitivity will allow you to be less selfish and more empathic: you will better understand the needs of those around you and make you angry less easily. If you have anxiety problems, meditation will help you reduce the agitation that follows you daily and you will feel much more serene. If you have any doubt about meditation, do not be afraid to leave a comment below! I conclude the article with this quote of Swami Kriyananda about meditation. Welcome to the first article of my blog! My name is Caterina, but friends have always called me Kate. 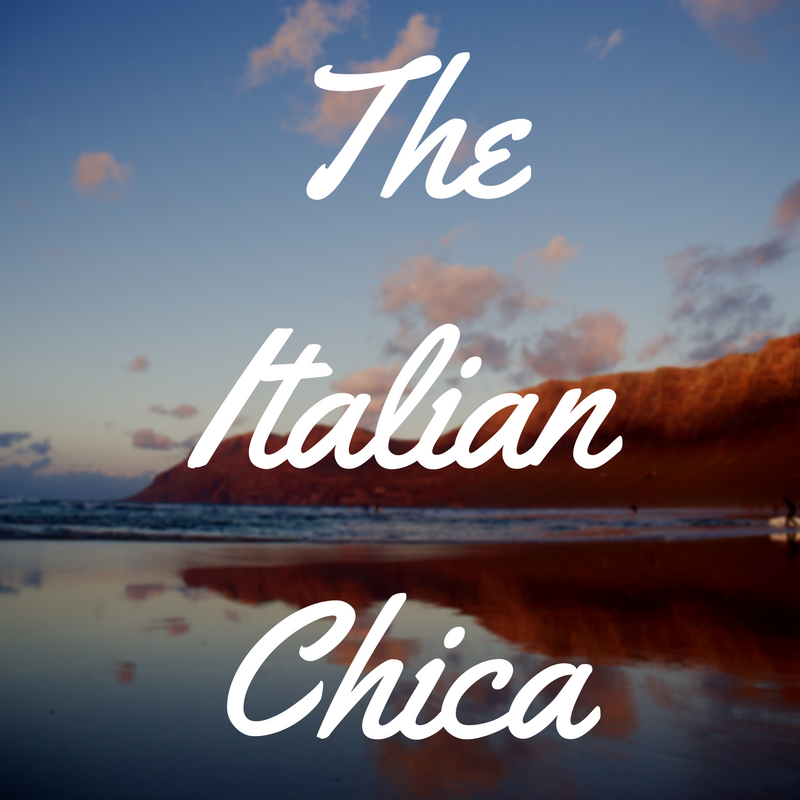 I am an Italian girl who currently lives in Lanzarote: a beautiful island of the Canary archipelago. Here I started to meditate and live a quiet and relaxed life, trying to follow, day after day, all my dreams. How did I get to LANZAROTE? As I wrote in the ABOUT ME section, in Italy I was leading a rather stressful, uncontrolled and disorganized life without any prospect for the future. Some of the decisions I made in the past have been influenced by what my parents and family wanted of me, and I often felt guilty when I wanted to do what I really liked and I was never really happy. At the University I was studying subjects I didn’t like and to escape from them I used to work for a student association, organizing parties and trips. This activity gave me some satisfaction at first, but some time later routine and monotony started to take over. Besides this, there is a toxic relationship that, although it may have started well, has brought to light the worst sides of my character, at the time agitated, anxious, argumentative and easily irritable. With all this suffocating environment I felt more and more depressed and misunderstood, as if society was pulling me in its dark vortex, leaving me with no strength to react. But, one day ,I hit rock bottom: the toxic relationship ended and my recurring thoughts were depressing. By that time nothing had any sense without that person, with whom I believed I shared dreams and projects. For a period I was drowning in the worst depression, only thinking about why the universe was being cruel to have so unjustly punished me. I didn’t understand how it was possible to experience such pain, after giving my heart and trust to someone. I didn’t want to eat anymore and I didn’t sleep at night, I only went out if I knew I could meet this person … but every time I went home in an even worse state than the previous one. For once I only listened to my heart. What else could it be if not the best choice of my life? Not only did I do that trip … but I also decided not to return anymore! I fell in love with the life I was living in this magical island, I felt I finally belonged to a place. I found a job and a place to live and decided to cultivate and follow my passion for photography. The breathtaking panoramas of Lanzarote introduced me to a more direct contact with nature and I began to meditate. Day after day, my agitated and perpetually anxious character began to disappear following the quiet “flow” of the island. At the same time, the more I was relaxed, the more opportunities and benefits begun to appear in my life. Finally, for the first time,I have no doubt I can finally consider myself truly Happy. Happy with capital H, pure, spiritual happiness that makes me appreciate the little things the world has to offer and suggest to me every day. I learned to listen, to think, to not judge, and to not be too impulsive. I learned that the more we smile at life, the more life smiles back at us and giving us exciting opportunities. Opportunity like my job: every time I see a beautiful picture, it gives me a magnetic feeling of gratitude for being part of this amazing universe. The idea of this blog is to reveal simple tricks to achieve happiness even if it seems impossible and far, and to help people who are facing a difficult time and do not know where to start or who simply want to change their life but are too negative or too anxious to really put it into practice. In addition, on this site under construction there’s a guide dedicated to the beautiful and magical island that made me feel reborn, Lanzarote. This guide enhances its most spectacular and evocative places, in which I get lost every time I visit them. I conclude the article with a quote from Mark Twain, which I hope you can seize and exploit to the best, as I am doing! Twenty years from now you will be more disappointed by the things you didn’t do than by the ones you did do. So throw off the bowlines. Sail away from the safe harbor. Catch the trade winds in your sails. Explore. Dream. Discover!